This autumn is proving to be particularly grim for the German press. DAPD, the country’s second-largest news agency went into administration in early October. The Frankfurter Rundschau, the oldest national paper in Germany, followed suit last week. On Thursday, Gruner + Jahr (G+J), Europe’s largest printing and publishing house, will probably pull the plug on Financial Times Deutschland (FTD). FTD was founded in 2000 as a joint venture of G+J and Pearson, the owner of the British Financial Times. The FTD quickly gained a reputation for outstanding journalism but has lost 250 million euros over its 12-year life. Pearson gave up in 2008, selling its stake to G+J. As a newcomer, FTD has special problems, but newspaper owners everywhere are increasingly losing patience with their stricken products. Some problems are self-inflicted. Smug owners failed to invest cleverly enough in the online business and did not try hard enough to nurture quality journalism. But the hard truth is that the traditional advertising-dependent newspaper business model, first developed by the French La Presse in 1836, no longer works. Although two-thirds of the revenue of German newspapers still comes from advertising, the internet – where advertisers do not need to subsidise journalists to attract attention – is quickly draining demand for space in the papers and on the papers’ websites. German newspapers’ share of the advertising market has almost been cut in half since 1985. For English-language publications, the internet cuts advertising but also massively increases the potential audience. Publishers in non-English-speaking countries lose as much but gain less. The squeeze is severe in a business with high fixed costs. Even in 2012 – a good year for the German economy – hardly any national paper in Germany is profitable. Structural adjustment is unavoidable. The disappearance of the weakest players might make life easier for the survivors. However, too much consolidation could hurt something more important than bottom lines. Quality press is vital to a lively democracy. If the whole industry is threatened, society and policymakers might face unpleasant decisions. They may even have to ponder a continuous bailout – another word for subsidies. 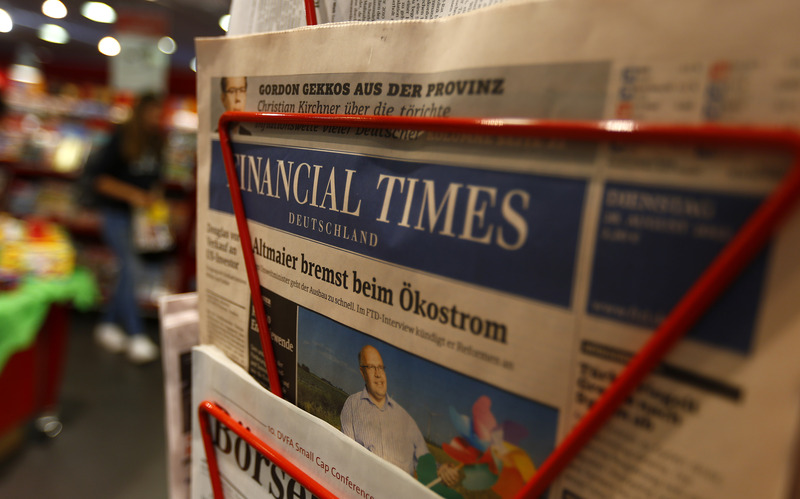 Twelve years after its start in February 2000, the German business daily Financial Times Deutschland (FTD) is facing closure. At 1500 GMT on Nov. 21, an imminent announcement was expected from the German publisher Gruner + Jahr (G+J), which owns 100 percent of FTD after Pearson pulled out of the venture in 2008.